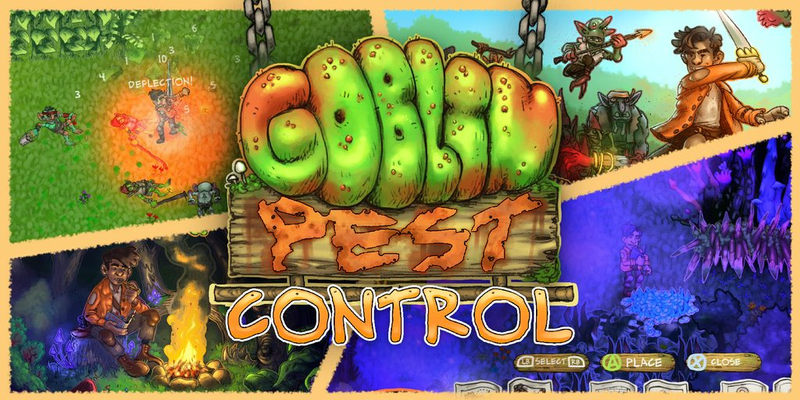 Goblin Pest Control - Download the demo! 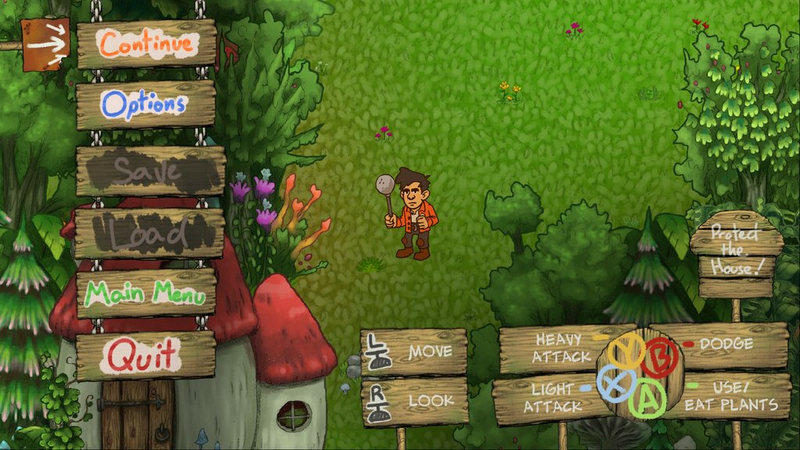 TIGSource Forums Community DevLogs Goblin Pest Control - Download the demo! In a world where high level heroes are off in distant lands, slaying Dragons, Un-dead Kings and Necromancers, embarking on epic quests and defeating evil in its most powerful forms, a menace rises from under the earth to steal silverware, wee on things and be a general nuisance. 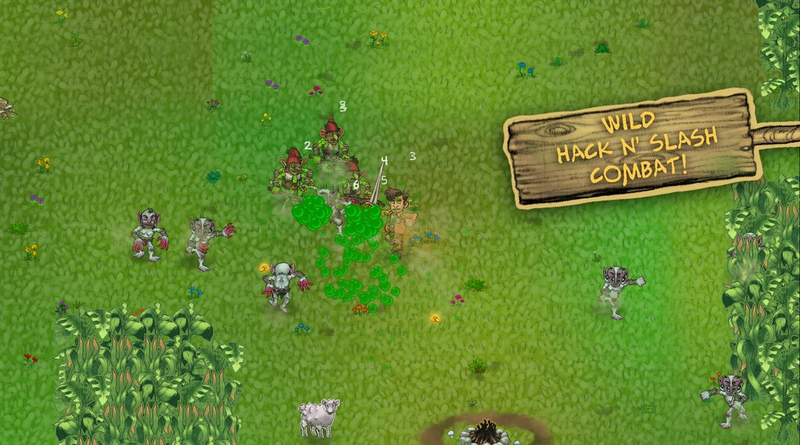 Goblin Pest Control is a top-down hoard defence game which seeks to push the genre into new territory, with chaotic hack n slash combat, random level generation, and a rich, detailed world. It’s currently in its alpha stage so bugs are to be expected. We always love feedback so send us an email or drop us a tweet or leave a comment. Rely on your combat ability and in-the-moment reactions with a fast, fun and addicting combat system, or set up traps at night and use the environment to your advantage. The levels are comprised of handmade chunks, stitched together procedurally. 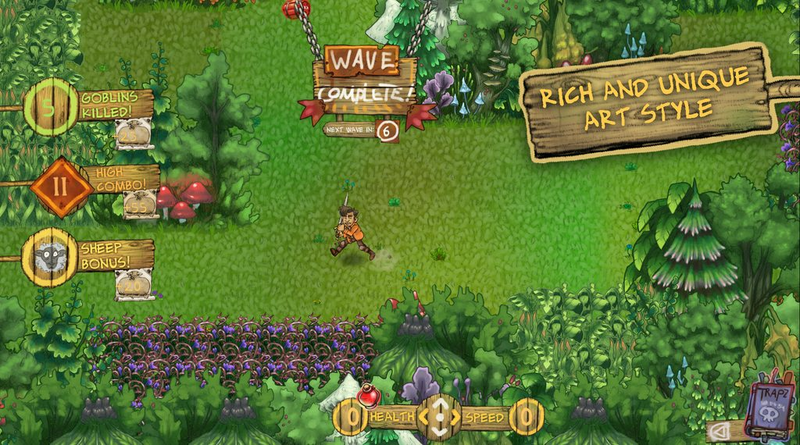 This combination of hand-made and random elements means that the levels feel relevant and impactful on the gameplay, while still allowing for over 200,000 unique levels. The Goblin hoard comprises of 6 types currently, each with a distinct look and differing AI. Not much of a challenge on their own, but they can quickly overwhelm! We are a tiny studio based in Bristol in the UK. Currently we are two illustrators turned game-devs who are working tirelessly, wearing multiple hats at once, all in the name of making, fun, cool things that you can play. 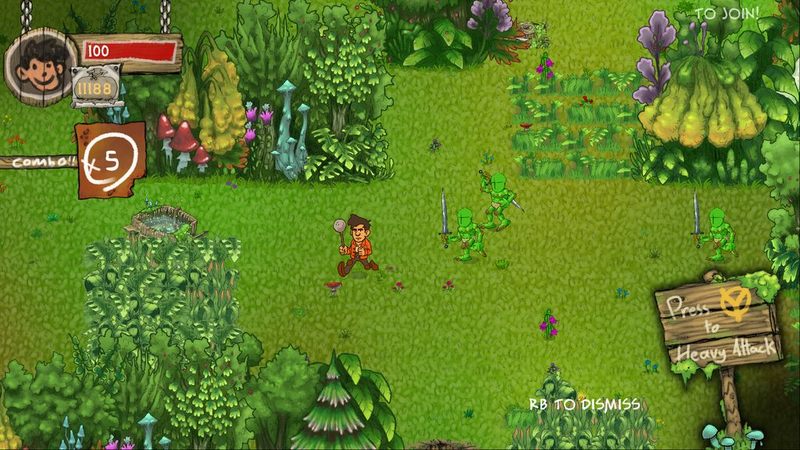 Goblin Pest Control is a product of our shared love of classic fantasy, Jim Henson and action RPGs. Thanks for checking out what we're doing! We hope you have fun, and are always working to make it better. If you want to help us make it better with bug reports, general feedback or anything else then send us an email ([email protected]), tweet us @MantraTeam, or post on here. We have a lot more planned for the final release of the game, but work will be slower from now on. I'll continue bug fixing and patching so check back in case there's a new update, but we probably won't be adding anything new to it for a while. I'll post updates here and on our website blog to keep you in the loop. Re: Goblin Pest Control - Top down Goblin Defense! Looks interesting! Keep it updated! I LOVE Goblins, where are the goblins? I was specting to be able to play the goblins and infest the pretty town with insane gadgets and lots of explosions, cloth wings, baloons and the like. Robbing and investing in technology research to conquer more cities to rob more would be so fun! DuelCide A Dark ARPG about dueling, taking lives & dealing with consequences. 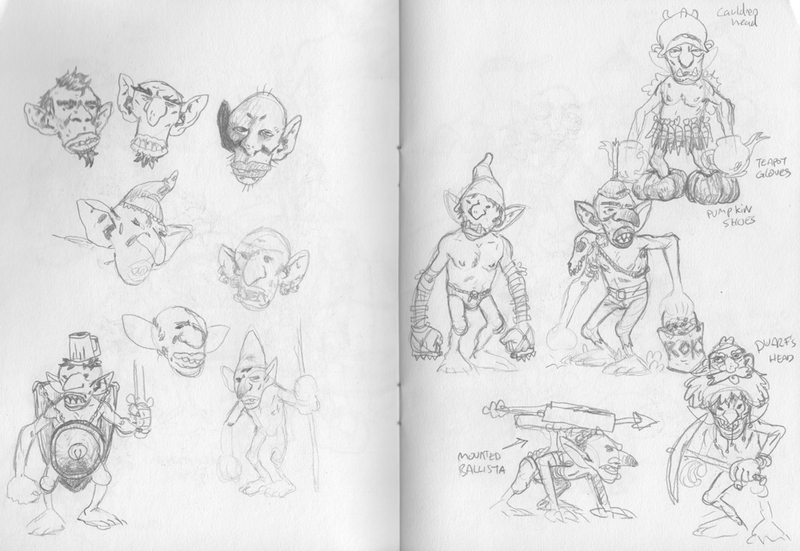 The goblins are coming, and there will be wacky goblin gadgets made of janky floorboards and old bits of metal. We're still working on them at the moment but there isn't anything final yet. Thank you! 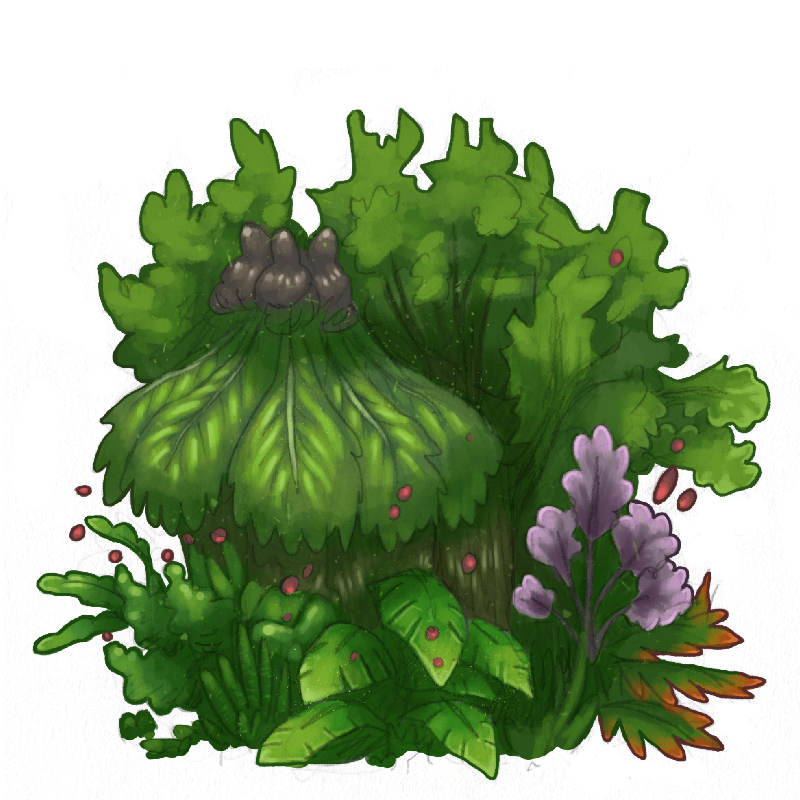 As more of the artwork is made I'll be able to show off some of the actual mechanics, which will be fun. I am Alex and I am going to do this blogpost. 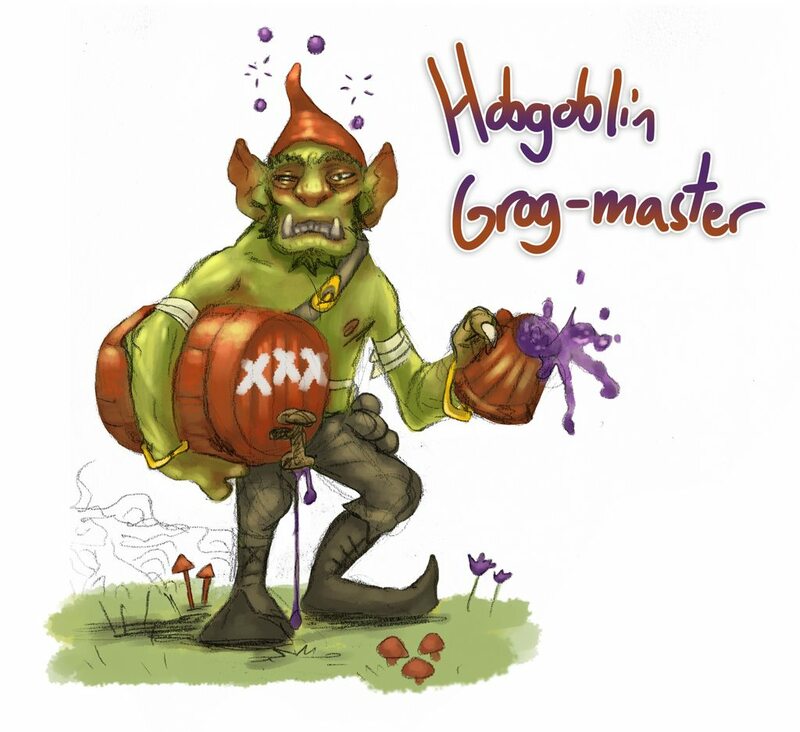 I have been granted the immeasurable task of creating the artwork and animation for goblin pest control. There couldn't be a more perfect project for me. You may have heard the unfortunate rumours surrounding myself and certain goblins who will remain nameless, but let me assure you that they are indeed all true. Anyway, I thought I'd start at the beginning without giving too much away. James always had a strong idea of how he wanted the game to play and feel in his head. Arguably the most appealing features are the goblins themselves and when it comes to goblins I am usually the person to talk to. 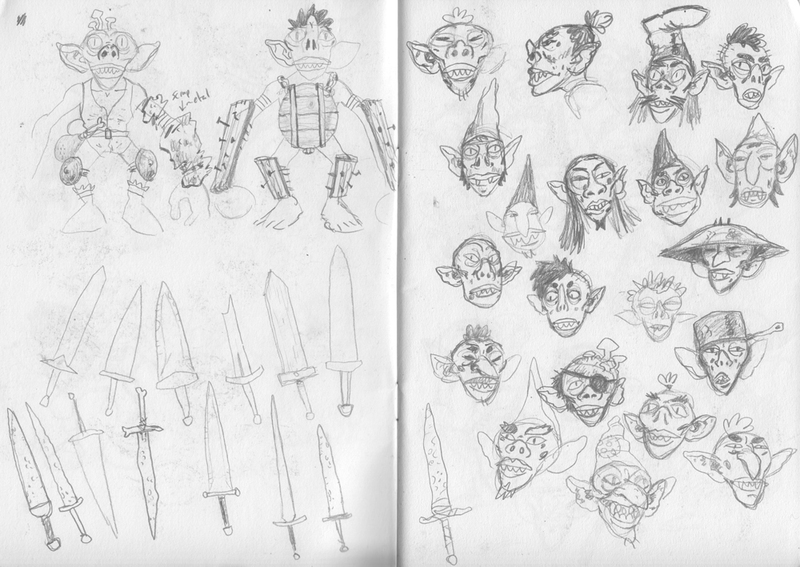 I filled a small sketchbook with different ideas for various goblin types and their functionality. 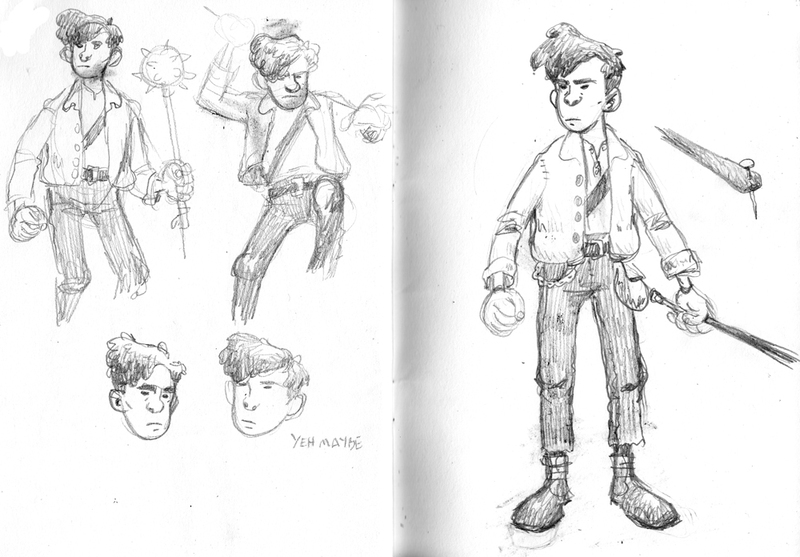 I don’t want to give much away at this point but here are some early sketches and a small bit of concept art. There is nothing specific in these pages (only a small selection), but perhaps they are good indications of the sense of humour and visual style. I look forward to showing you more drawings in the future, please stay tuned. Not a lot of visual progress has been made in the last week on my end, so I thought I’d share a bit about the night-time trap system. So the game is split into two parts: day and night. 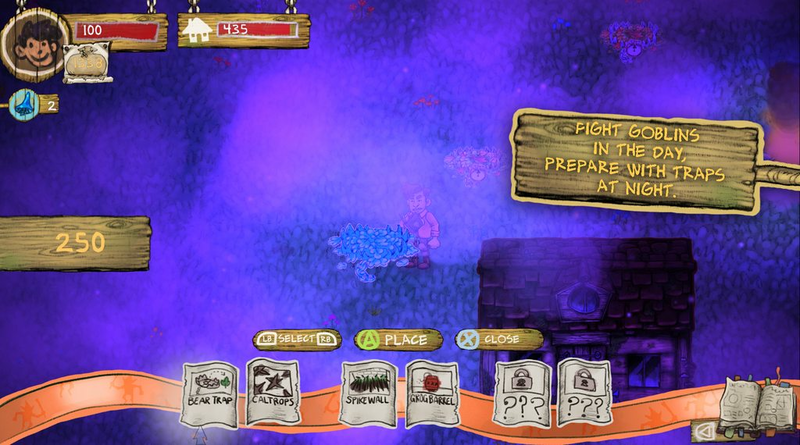 The night-time is when the player can run freely around the map with no pressure, and place traps in anticipation for the following day. The idea is that the traps will work in conjuncture with each other, and act more like building blocks for larger player-build systems, than individual traps. EXAMPLE: Say there’s an enemy that can only be attacked from behind, the player could build a trip-wire that sets off a crossbow placed behind the enemy, pointed at his weak spot. This is a simple example, and I’m hoping that through a bit of careful trap design and probably A LOT of trial and error, the player should be able to build more complex systems for killing goblins, beyond simply whacking at them with a sword. As of right now the player can place traps, and a couple of simple traps are done (with no artwork). I’ll share the specifics when the artwork is and there’s something more entertaining to show. My main concern with this system will be making it balanced, which will mean finding the over-powered dominant strategies and nerfing them. Something I’m sure will be thoroughly frustrating, later on down the line. Thanks for reading. Until the art has been made and put in place, my devlogs might be a bit less interesting than Alex’s in terms of the visuals, but I’ll keep you updated with the various systems I’m working on. Hello I would like to reveal to you the “final” design for the player character. The pc isn’t super important as the main focus is, of course, the goblins. But we wanted him to have something about him. 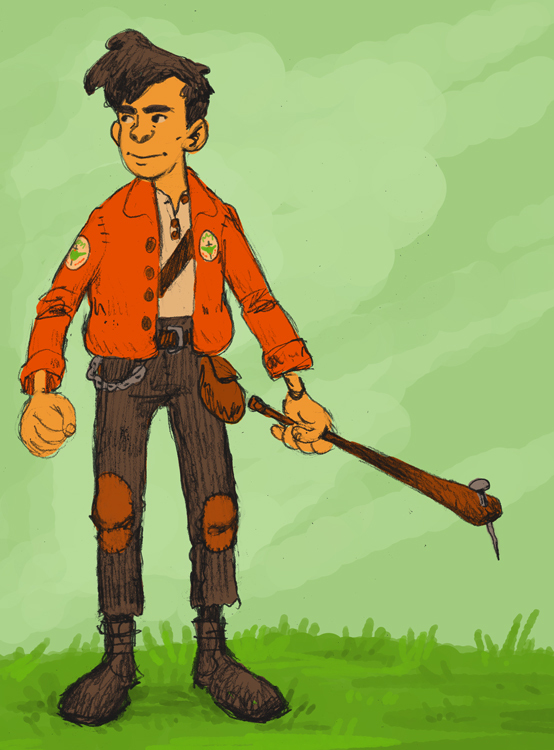 His bright jacket should always contrast the green of the goblins and each setting he should stand out well enough to make sense of the chaos. I wanted him to look racially kinda ambiguous. I've been doing a lot of structural stuff this week. The progression and structure of the main campaign is done: 3 waves of goblins, then night time, then 3 more waves, then another night time, then 3 final waves, then end level. I've also finished the AI for the regular goblin enemy, which means as soon as the final artwork is there I'll be able to show them in action which I'm looking forward to. Along with this I've re-made the player attack and combo system which, again I'll show when the final artwork is there. Soon enough I can start uploading gifs and showing of some actual gameplay, something I've wanted to do for ages. Only a tiny update this week but there's exciting stuff coming very soon. Thanks so much for reading and have a good week! I can finally show off the gameplay and animations! Alex is currently working on some more goblin variations and we'll hopefully be recording some sounds later today so they're coming together. I've spent most of the last two weeks re-making the combo system (again). It's a lot more responsive now and packs a lot more punch than before. The goblins are bouncing off walls, and everything seems to be coming together! Thanks for reading, and stay tuned for more in the coming weeks! yes it is i - alex. work has been slow on my end because life is hard sometimes but i have news both good and bad! James recently discovered software Spine which I have now decided I will devote my time now to learning and perfecting to bring u new and fresh and clean and wonderful animations, characters and goblins! 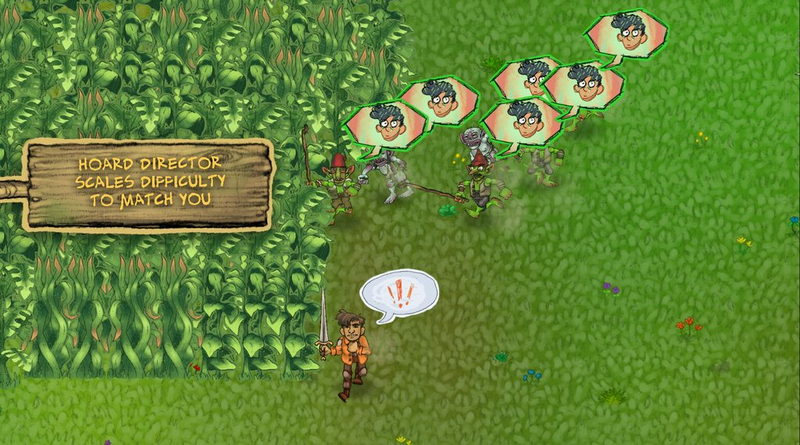 The discovery was fortuitous as not much of the "final" animations have been done so far and James and i discovered there were some issues with the way we wanted to do goblin randomisation. anyway those problems are over! but it might mean having to stay tuned for any more future animtions, at least for a couple of weeks. 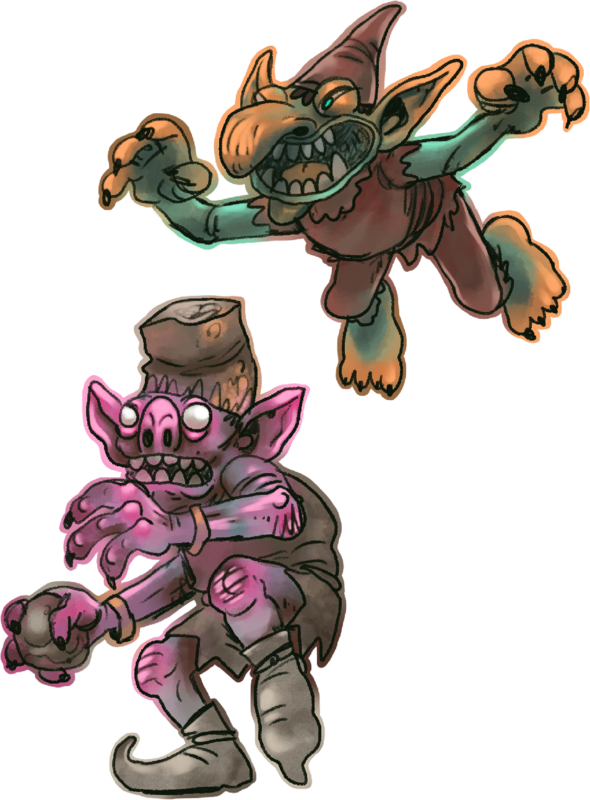 here were some of the goblins who already exist but say goodbye to them you will never see them again u will only see greater, better and fAR MORE RANDOMIZED goblins FROM NOW ON!!! Just a quick update to let you all know that we're not dead, and that we're slowly on some new artwork, and learning some new software, and generally improving our skills before continuing. We'll be back to regular updates and regular progress soon! 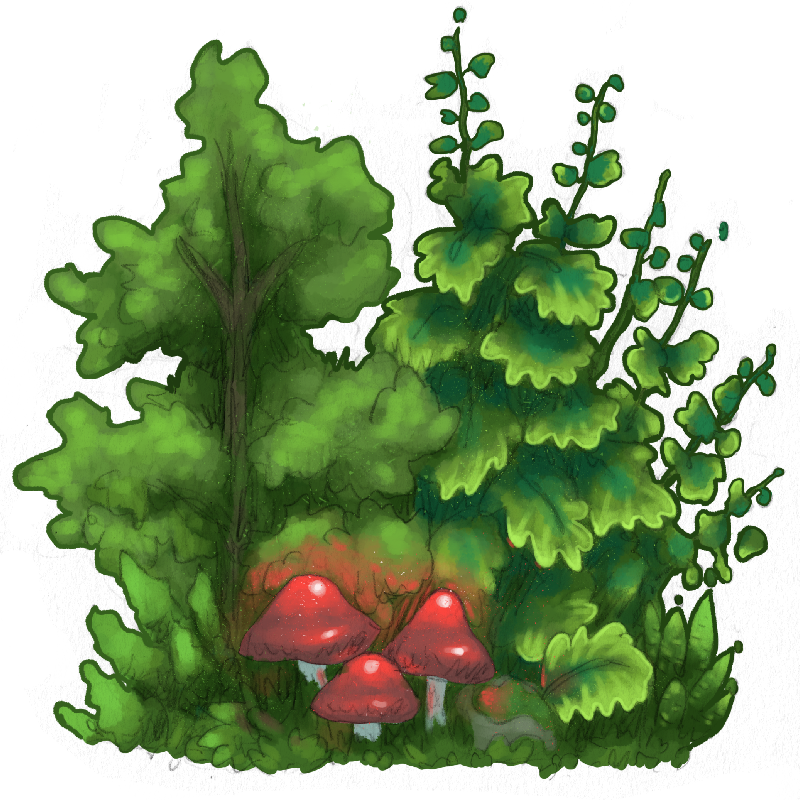 we're currently in the process of overhauling the artwork in the environments. We've switched to a more collaborative effort on the artwork which seems to be working really well. Below are some of the wall tiles that we have so far. I'm really looking forward to getting some more in soon, hopefully by the end of the week there should be a good amount of new tiles to totally replace what's already there. Been a very long time since I've updated this but I'm still working hard on Goblin Pest Control. A lot has been changed and updated since the last post. We've just made the swap to using Spine to do the animation which will grant a ton of benefits. 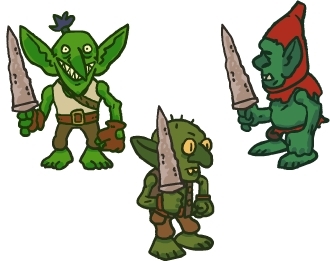 The most important being that we can now have a system to randomly create every goblin from different parts, something which would be completely impossible if we were using sprite sheets, as we were before. Another benefits is of course that we're not using sprite sheets for the characters anymore, which was causing bugs due to their size. No more! This was a huge weight on the whole thing, and now that it's been lifted the potential for variation in the enemies is infinite. In short, expect lots and lots enemy variations in the future. What else? I replaced the lighting at night time so that it's a lot more efficient. We've been replacing lots of the placeholder artwork and what's left of the programmer art. 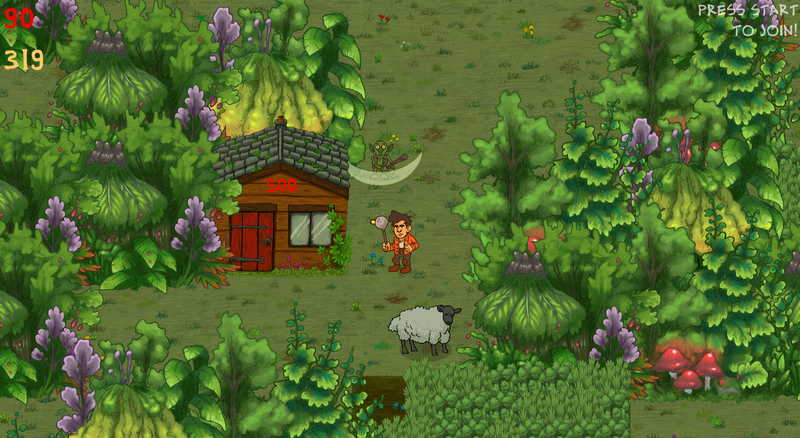 We also seem to have settled on final artwork for the tall grass, something which we just couldn't seem to get right. Who know, in a month we might decide to replace it again but hopefully not. 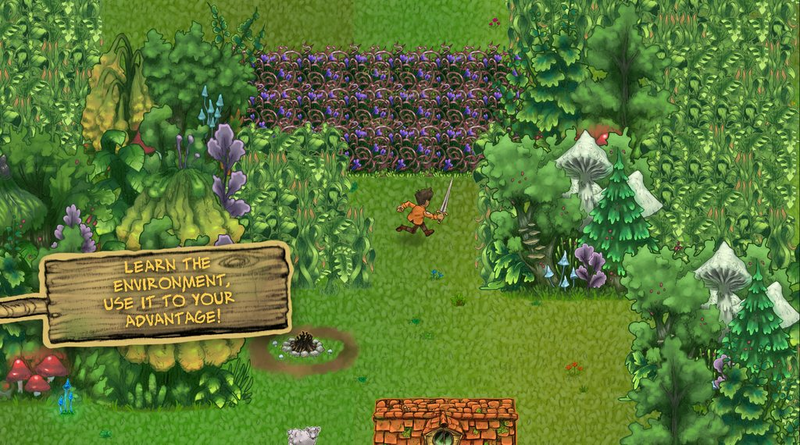 For now the game world is a joy to look at (if I do say so myself) and we're so happy that we've settled on an art style that captures our take on the typical fantasy genre. I've also added a few more enemy types. 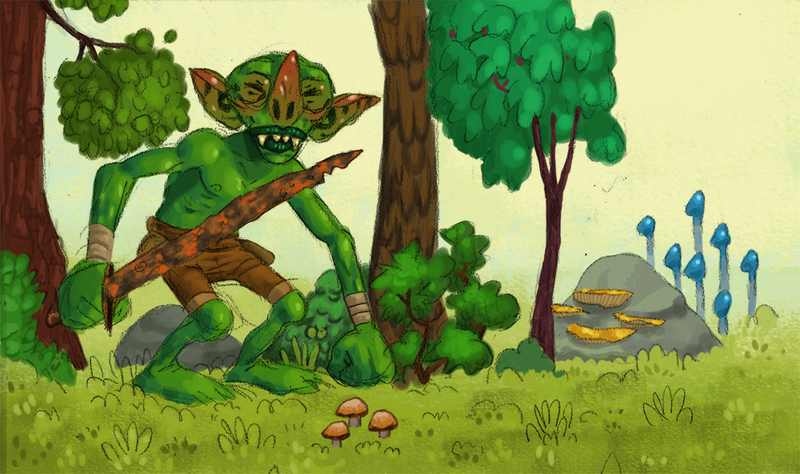 The rock-thrower goblin who's the basic ranged attack enemy. The rocks can be deflected back by the player. I've added some satisfying particle and sound effects when this happens too. 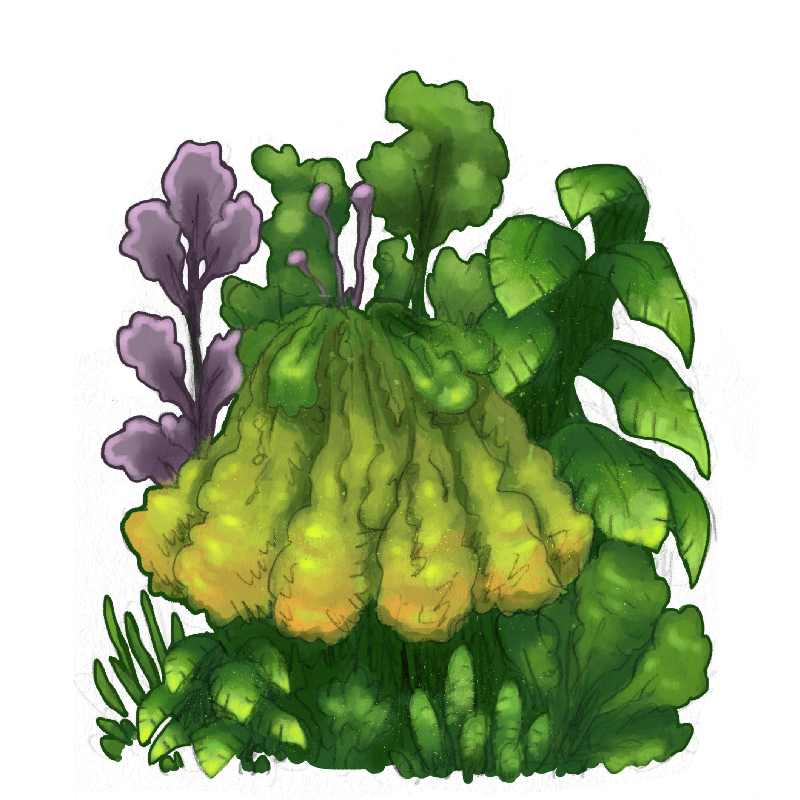 I've also added a poison gas/ mushroom spore goblin who creates a noxious gas cloud on death, blocking off pathways for a little while. The last enemy I've added is a Grog-barrel goblin, who follows the others around, feeding them grog and buffering their stats as an AOE. With the addition of more enemy types the game is starting to feel more like a game. It's harder now which is a good thing, and the ideas I had about game feel, and the focus on the random level generation are all coming together. Also the I've been able to fully test the adaptive music system, which is working a charm. 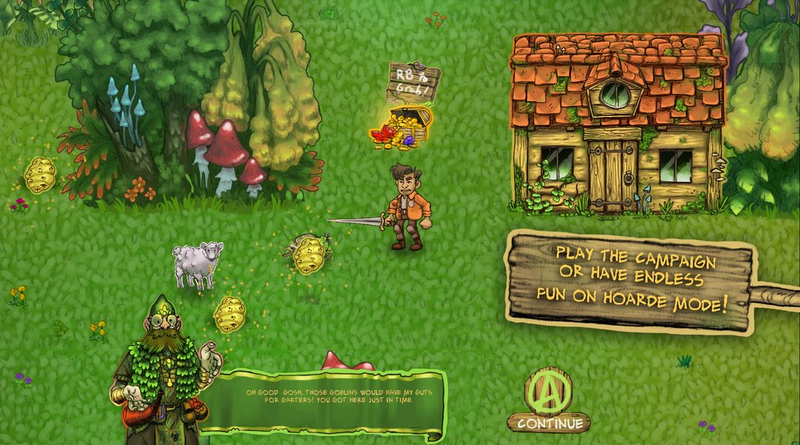 Goblin Pest Control is really moving forward at the moment and coming together in the way we had hoped for. Thanks so much for reading and giving us your attention, even with a distinct lack of screenshots/anything visual in this post. I’ve made a few changes and updates, most noticeably to the HUD and the menu. Remember in Doom how the Doom marine’s face was in the bottom centre and it became more beaten up the more damage you took? I haven’t seen that in recent games, and I can’t think of any other examples. I really enjoyed it and it created much more of a visual connection to the character, much needed in an FPS. I always enjoyed looking at the face as a loose indicator of health when you needed to check during the chaos of battle. I’ve included this in the HUD for Goblin Pest Control. While it’s not entirely necessary for the design as its located right next to the health bar, it’s just entertaining to see the character’s face react to getting hit and the general state of player health. Here’s a couple of screenshots of the new HUD and menu. Thanks for reading, check back soon! Spent all day today drinking tea and working on some new and improved goblin AI. Since we switched over to spine it's taken a while to find a good workflow and actually get some animations/artwork good enough to use. Happy to say it's working well, and it's a great framework to use in the future when designing other enemy types. We'll have some final goblins coming in soon (At long last!!!). It's taken way too long to get to this point but I'm so glad we're nearly there. Here's a screenshot. Stay tuned for more updates soon. Lots of good work has been done in the last couple of weeks. The most notable is that I've finally fixed some UI scaling bugs that have been plaguing development since the very beginning of the project. 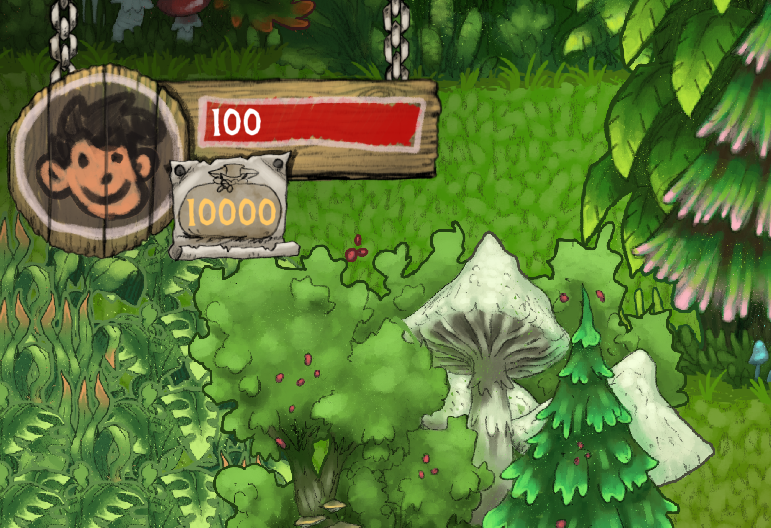 The user interface now scales to any resolution without any of it being cut off, or stretched to weird x or y scales. This may not sound like much but it's been hanging over me forever. Feelsgood. 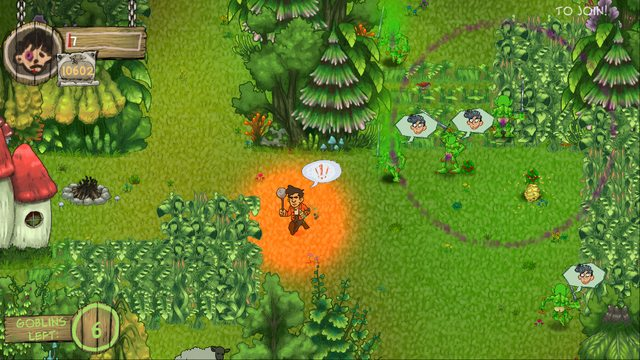 I also re-added the feature of being able to lure goblins to you, allowing the player to lead them into traps, and get them off the house. (Screenshot). Other than that I've gone through fixing pages and pages of bugs, cleaning everything up and polishing it all and all at once it feels like a "proper game". We're planning on having a demo within a few months soon you'll be able to play it and experience all of my unsubstantiated devlog details for yourself. The poison gas goblin, who dies quickly, leaving behind a poisonous cloud, blocking paths and forcing the player down different routes. 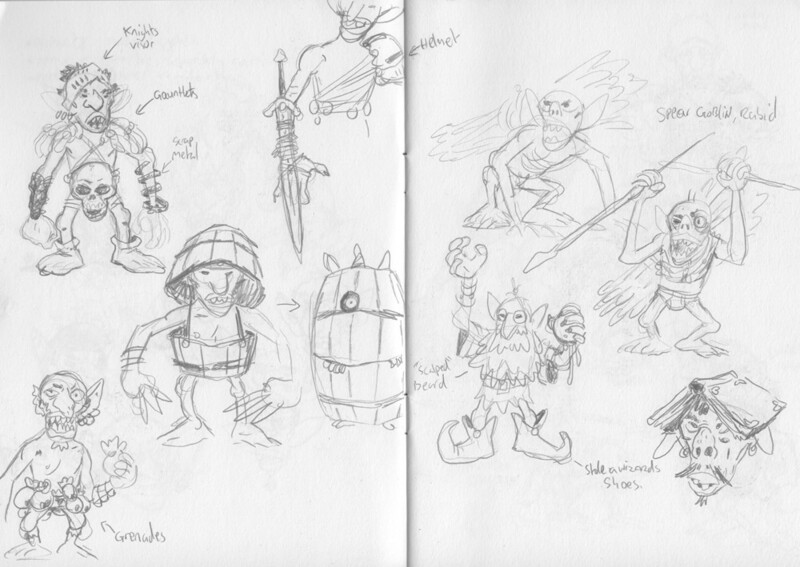 The barrel goblin, who follows other goblins around feeding them grog, and buffing their speed and attack stats. He doesn't cause any damage himself but when surrounded by a group of enemies whom he's buffing, he becomes a powerful addition to the enemy forces. 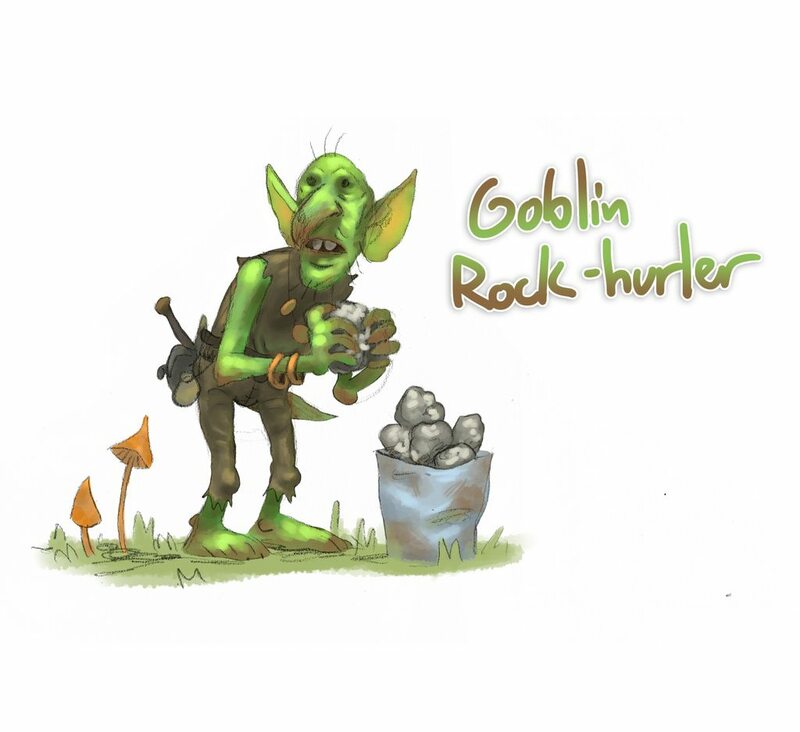 The rockchucker goblin is basic ranged attacker. He throws rocks at his targets from his bucket of rocks. These can be deflected back at him for an insta-kill and a damn satisfying sound effect. The beartrap is an inst-kill on any small goblin. It snaps shut in an explosion of the leaves it's hidden under. The spiked walls and a one hit kill for any small goblin unlucky enough to get knocked into it. Caltrops are an AOE for goblins stumbling over them. As usual there's more to come. This is probably my last devlog before the end of the year, so I hope you all have a happy, goblin-free Christmas! I just realised that we're nearly at 3000 views! Amazing! 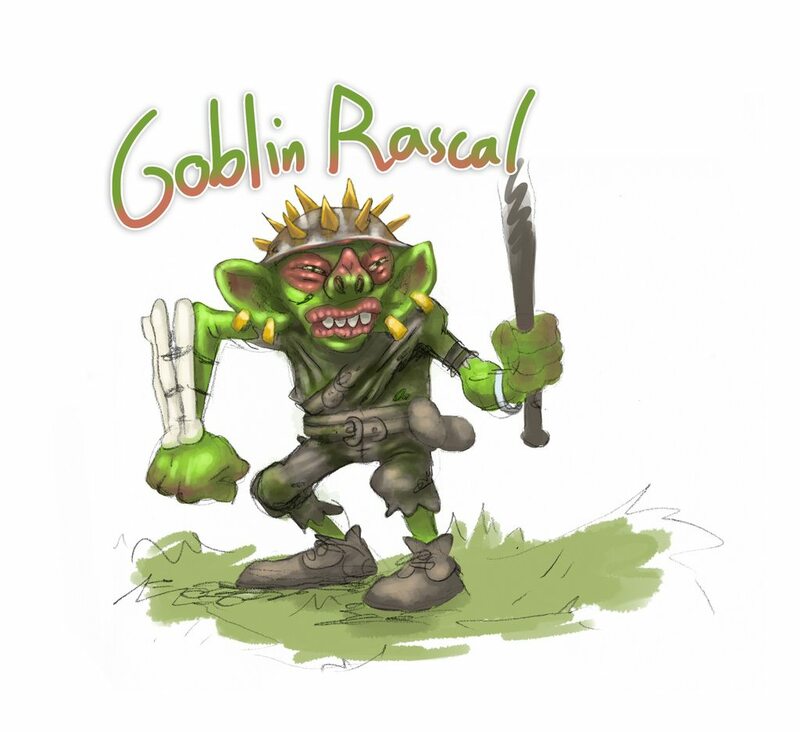 Thought I'd share some new goblin concept art for the enemy types that we have in already as a little thanks for checking out what we're making.